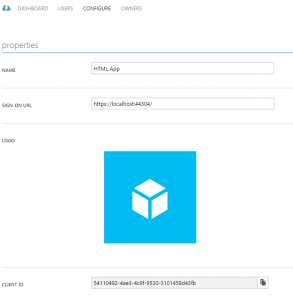 In one of my current projects I was trying to access a Azure Mobile Service from within a HTML Angular app. “Great!” I thought, let’s use ADAL.js and let the magic happen! So I installed ADAL.js, configured it and…..nothing, ADAL.js injects the Bearer token but I got a “401 unauthorize” from the Azure Mobile Service. 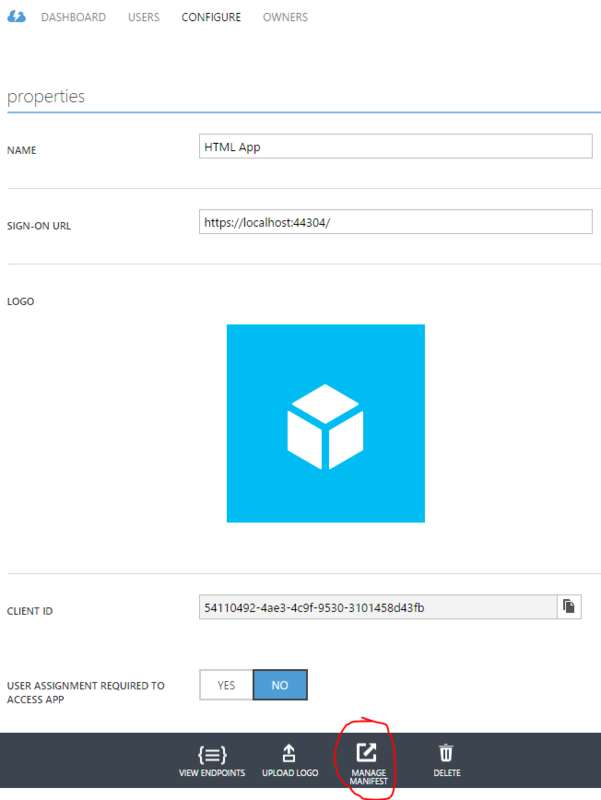 After some research on the web I was able to get Azure Mobile Service authentication to work with an ADAL.js acquired authorization token. 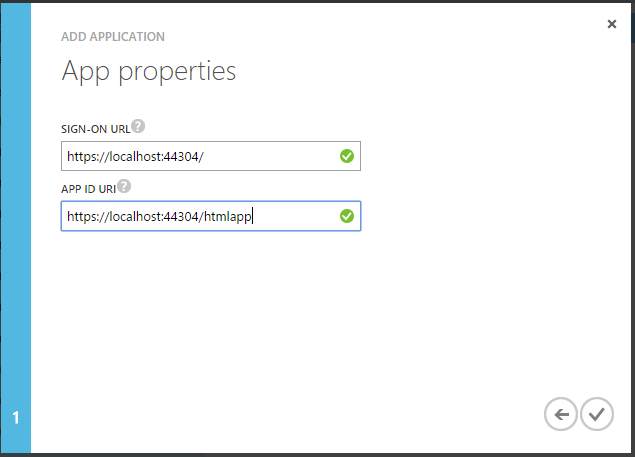 As mentioned above there are 2 “apps”, an HTML Angular app and an Azure Mobile Service app with a .NET backend. 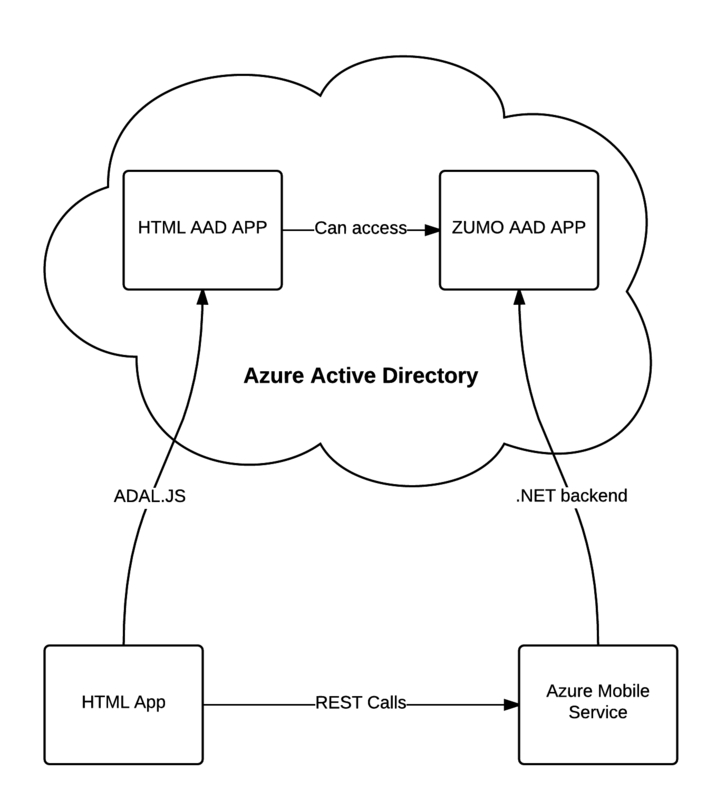 Both apps uses Azure Active Directory as the authentication backend, the following image shows this setup. 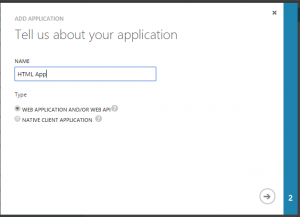 We will start with the Azure Mobile Service app. Microsoft provides a detailed explanation on how to configure the windows azure active directory authentication for azure mobile service in this article. This options allows us to call the azure mobile service from the specified host (e.g. localhost). 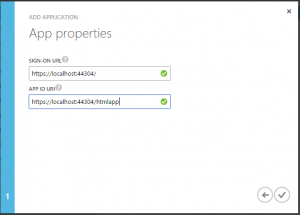 This option is only necessary if you like to call an Azure deployed Mobile Service app. For more information about how to use ADAL.js with Angular take a look at Vittorio Bertoccis blog post. Note: After clicking “Add application” you have to select “all Apps” to list all available apps. If you find a more elegant solution for this problem or need further help, please let me know.